A property management company based in Meriden, CT has agreed to pay a $276,000 penalty for violating federal lead-based paint disclosure requirements. EPA alleged that the property management company violated the federal Lead Disclosure Rule when it failed to disclose information about lead paint to at least twenty tenants who rented their multi-unit residential properties between 2001 and 2003. Specifically, the company failed to provide records or reports regarding lead hazards, failed to make sure that the lease included a Lead Warning Statement and a statement disclosing the known or unknown presence of lead-based paint, and failed to provide a copy of EPAs lead hazard information pamphlet to its lessees. In addition to this settlement, EPA’s Criminal Investigation Division and the Connecticut U.S. Attorney’s Office prosecuted an individual employee for violations of the Disclosure Rule. 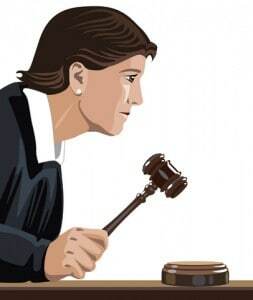 On December 11, 2009, Sandra Sattler, leasing supervisor, pled guilty to one count of knowingly and willfully failing to provide Lead Disclosure information in violation of TSCA. She was sentenced to six-months probation and fined $2,500. Federal law requires that property owners, property managers and real estate agents leasing or selling housing built before 1978 provide the following information to tenants and buyers: an EPA-approved lead hazard information pamphlet, called Protect Your Family from Lead in Your Home; a lead warning statement; statements disclosing any known lead-based paint and lead-based paint hazards; and copies of all available records or reports regarding lead-based paint and lead-based paint hazards. This information must be provided to tenants and buyers before they enter into leases or purchase and sales agreements. Property owners, property managers and real estate agents equally share responsibility for providing lead disclosure information and must retain copies of records regarding lead disclosures for three years.